Fire polished linkchain, purple iris/silver. 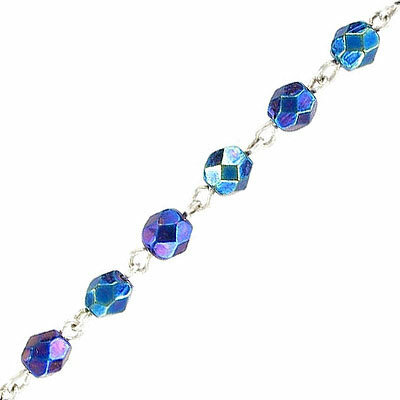 Frabels Inc.
Fire polished linkchain, purple iris/silver. (SKU# LC6MM/534W). Minimum order is 1 meter.